Right now, you can travel back in time 67 million years and see live dinosaurs, pterosaurs and mosasaurs. All you have to do – it’s easiest if you live in southern England, sorry everyone else – is travel to the Greenwich Peninsula, London, and visit Dinosaurs in the Wild, an immersive, interactive family experience that takes visitors back to Late Cretaceous western North America, back to the time of Tyrannosaurus, Triceratops and Ankylosaurus. 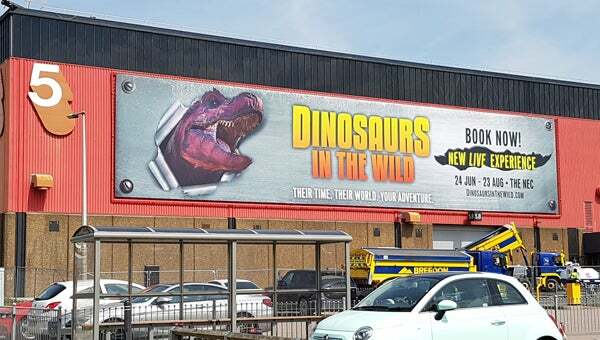 Dinosaurs in the Wild is open throughout the summer, its doors currently being set to close on September 2nd, so for booking and more information go here. Dinosaurs in the Wild is science-led, in great contrast to virtually all other dinosaur-led attractions the world over. 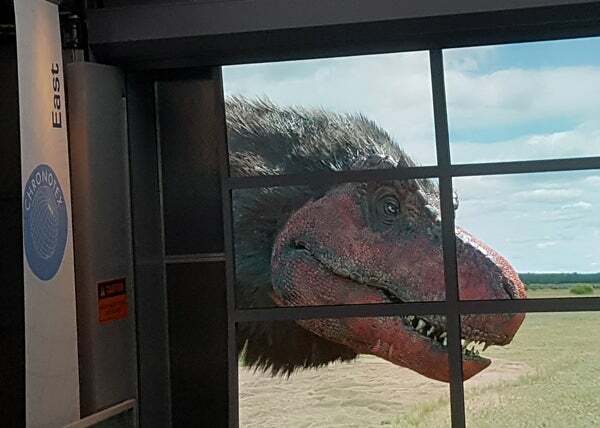 It provides its visitors with the palaeogeographical background to the world they’re visiting, takes them to a research base (TimeBase 67) that mostly consists of laboratories and study areas, and shows them animals quite different from the renditions they might be more familiar with. Indeed, our animals incorporate the most modern ideas on life appearance, ecology and biology and are not those of your parent’s or grandparent’s books, nor are they the antiquated scaly monsters of a certain recent cinematic endeavour. For those who don’t know, I have a special insider perspective on the whole project because I’m the scientific consultant: I’ve been involved right from the start of the whole thing, and I’m pleased to report that Dinosaurs in the Wild is just about the only project I’ve been involved in whereby creative decisions have actually followed the advice and opinion of the consultant. 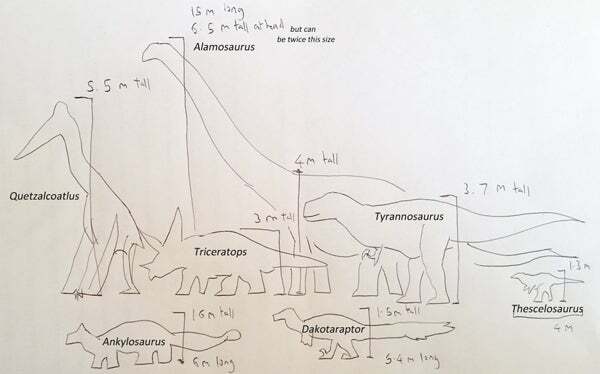 Here, we look at Dinosaurs in the Wild from my insider, consultant perspective. An on-stage version of what I’m saying here will be presented at this year’s TetZooCon (6th-7th October, The Venue, London). My involvement in Dinosaurs in the Wild ultimately goes back to 2007 and my time spent in the employ of Impossible Pictures, the award-winning TV production company led by Tim Haines of Walking With Dinosaurs fame. It was during 2010 that Tim first started discussing the idea of an interactive time travel project: his vision (developed in partnership with producers Bob Deere and Jill Bryant) was to use robotics, CG and constructed spaces to transport visitors back in time, our preferred section of geological time being the Late Maastrichtian, mostly because of its famous and relatively familiar megafauna. Skip forward a few years – and the accruing by Bob and Jill of appropriate funders, management, design teams, staff, facilities and other things – and the project was really getting off the ground in 2015. The process of bringing our dinosaurs (and other animals) to life was a fairly slow one. 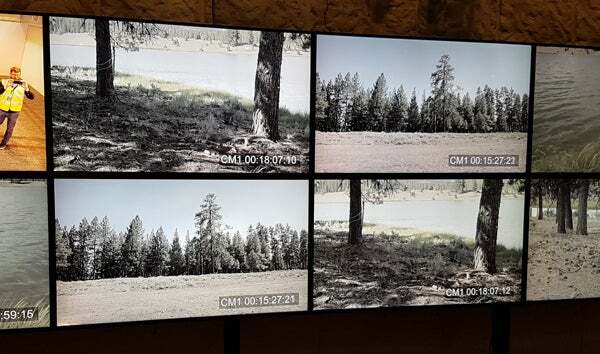 We began by selecting an area of the world we could film in (always a problem when you need photo-real footage due to the ubiquity of grasses and difficulty of getting an appropriately Mesozoic flora), and by compiling a list of appropriate animals. Western North America’s Maastrichtian superstars had to be included in addition to a ‘background cast’ of small animals, like mammals, lizards, turtles and salamanders. 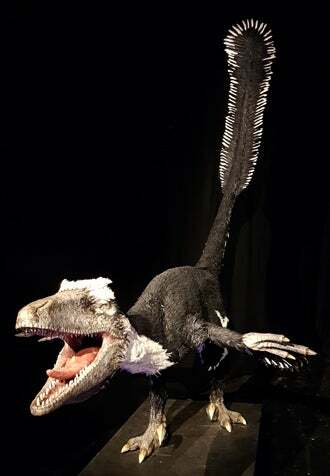 The remarkable giant azhdarchid pterosaur Quetzalcoatlus became part of the project, this being a good excuse to reconstruct it as per the terrestrial stalking model published by Mark Witton and I back in 2008 (Witton & Naish 2008, 2015, Witton 2013). The decision was also made to include the giant titanosaurian sauropod Alamosaurus. Alamosaurus was a denizen of southern North America and, in reality, might never have met more northerly animals like Triceratops and Ankylosaurus. 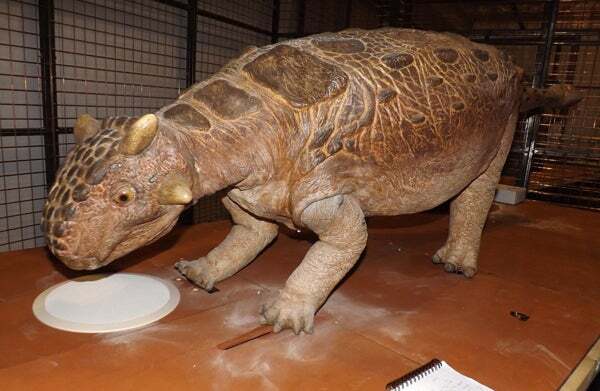 We do, however, have to allow for the possibility that animals might make geologically brief excursions into areas where they’re not yet recorded as fossils. Regular readers of this blog will be aware that I write and publish fairly regularly on the life appearance of Mesozoic dinosaurs and other extinct animals, plus I’m one of those All Yesterdays guys (Conway et al. 2012). So – what should our animals look like? Our maniraptoran theropods should be thickly plumaged like birds, our tyrannosaurs should have a filamentous pelt (no, it has not been demonstrated that big tyrannosaurids were scaly-skinned, and those who argue that it has are ignoring taphonomy), both Thescelosaurus – a mid-sized, bipedal ornithischian – and the giant pterosaur Quetzalcoatlus should be thickly covered in hair-like filaments, our mosasaur should be a sleek, streamlined animal that looks like a cross between a cuddly, chunky monitor lizard and a shark, and our giant dinosaurs – overall – should be muscular, extravagant creatures whose soft tissue outlines don’t necessarily match their skeletal outlines. I should also mention that we devised sounds for our dinosaurs and other animals. I came up with a list of ideas, mostly speculative but incorporating what little we know about the noise-making abilities of these animals. An immediate mandate was that our tyrannosaurs do not do the open-mouthed, million-lions-volume roaring so ubiquitous elsewhere, and that the pterosaurs do not screech like mythical griffins. Again, a whole ton of research and discussion was involved here. As goes filming, research on the Late Maastrichtian, western North American climate, flora and landscape meant that we were thinking about parts of eastern Asia or western North America, and the latter won out for various reasons. A crew did filming there, built replica nests and did all the other physical things required for the footage we’d need. We did lots of research here on the look and size of maniraptoran nests. The digital Maastrichtian. The CG versions of our animals would be brought to life by a team at Milk VFX, the Oscar-, Emmy- and Bafta-winning special effects company behind the effects of such works as Ex-Machina, Annihilation, Altered Carbon and Sherlock. We all recall our first sit-down meeting at Milk; I can’t divulge the details but it’s the stuff of legend. Working from source material I provided on skeletal proportions, anatomical details, skin texture, ideas on posture and so on, Grant Bonser at Milk devised a series of initial illustrations of our key cast members (you can see most of them here). Once the overall soft tissue anatomy and form of the animal was agreed upon, a general idea of the palette and texture – how matte or shiny the animal’s skin was going to be, for example – was decided (a process that involved comparing our Cretaceous animals to numerous living ones), and we then devised a colour scheme. Our decisions on the latter were based on what worked best as goes the ‘character’ of the animals but they also involved ideas about behaviour and ecology. Bright red striping on the head of Triceratops, for example, reflects the idea (linked to my work on sexual selection and the use of extravagant structures in sociosexual display: Hone et al. 2011, Knell et al. 2012, Hone & Naish 2013) that the head and frill was important in display. Move further along in the process, and there were all the discussions about gait, movement and behaviour. 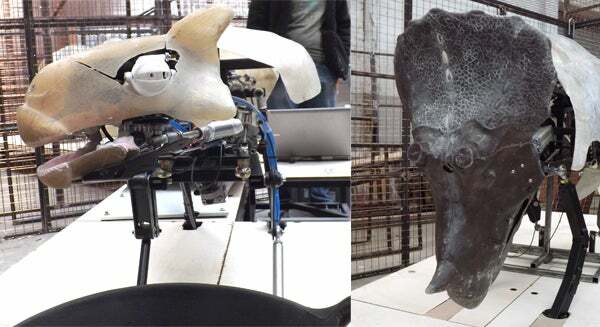 Tyrannosaur walk cycles, azhdarchid take-off mechanics, ranges of motion of the dromaeosaur shoulder, and so on. Some of our decisions were based on published science while others – I distinctly recall the meetings about how an Alamosaurus might get to its feet after resting on the ground – were more intuitive. Models and machines. Occurring in parallel with the development of the CG side of things was the construction of real-world animatronics and models that would feature in the laboratories and holding pens of the research base. 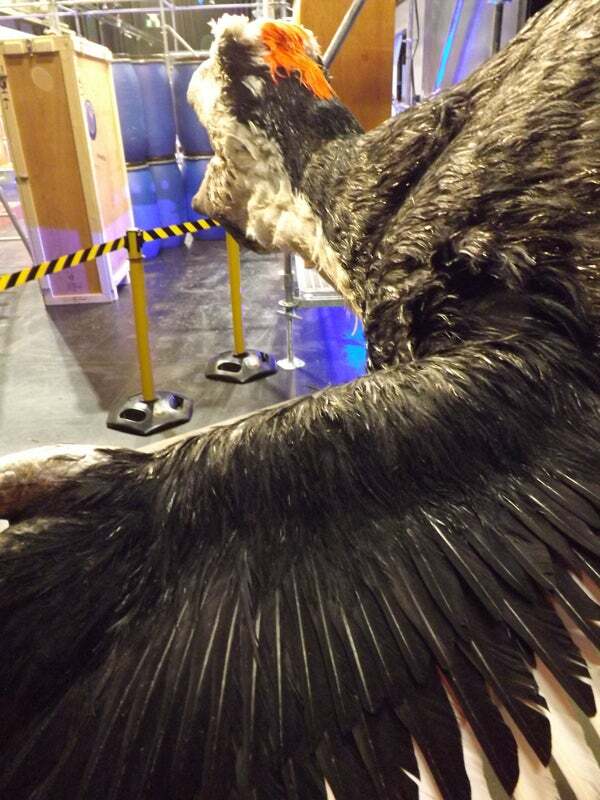 This work was done by Crawley Creatures, a UK-based company that creates animatronics, models, prosthetics and exhibits for films, TV shows, commercials and exhibitions. The creatures of the Walking With TV shows, Primeval and one-offs like 2005’s The Last Dragon and the 2015 T. rex Autopsy were all made by Crawley Creatures. Again, I sent them substantial information on life appearance, proportions and so on, and Tim, David Moss, myself and other members of the team visited Crawley’s workshops throughout 2016 and early 2017. Crawley didn’t just have to create robotic creatures, but parts of creatures as well. We decided that our anatomy labs would have eyeballs, brains and skin segments on display as well as a functioning (juvenile!) 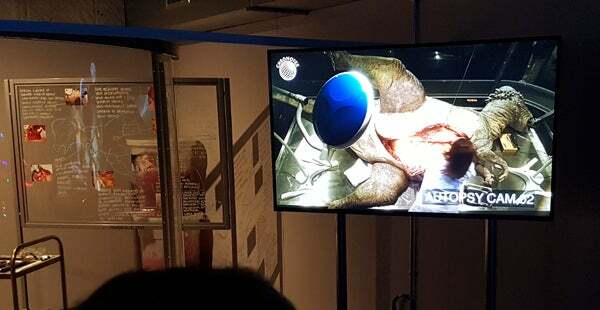 Alamosaurus heart, an interactive component where visitors can examine dinosaur dung, and microscopes where feather and skin parasites can be observed. Meanwhile, eggs, babies and nest substrate were needed for the hatchery and a ton of paraphernalia relevant to big animal dissection was needed for the autopsy room.... yeah yeah, necropsy room. Whatever. If I discuss the backstories to all of these segments of the exhibition I’ll end up writing a book; let me say briefly that the research, design and construction of everything I’m mentioning here involved a ton of work, a lot of research, and multiple stages of checking and consultancy. There’s also the signage and paperwork that appears throughout the laboratory areas and elsewhere in TimeBase 67. Tim and I designed information panels and posters that both ‘looked right’ for the TimeBase interior and provide those visitors curious enough to consult them with a lot of information on dinosaur biology. Naturally, some of the material is semi-fictional and speculative given that we’re talking about a world where time travel is real and people are working with live Cretaceous dinosaurs. We deliberately wanted things to be packed – for the laboratories to be full of specimens, more than a person can reasonably look at within their time at the base. This makes the whole experience feel real. 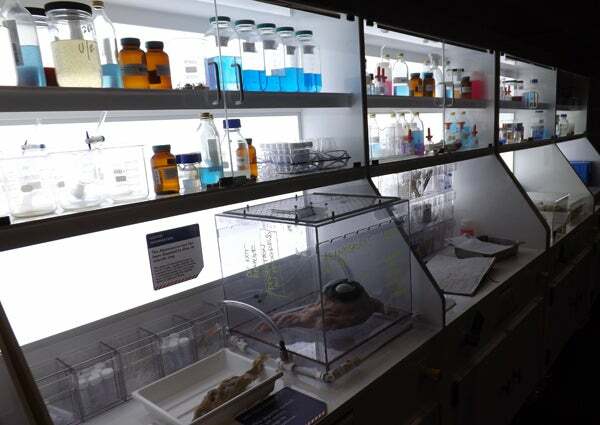 Visit a real laboratory at a busy research base and you’ll see a million things that might demand more time and attention than you can spare. You’re immersed – we hope – in a real-feeling world. Bringing it all together. For all of this to work as a visitor attraction, we of course needed constructed spaces. We worked with another excellent, award-winning company – Freeman Ryan Design (FRD), they specialise in the creation of exhibition interiors and graphic design – on the design and format of the TimeBase and its many, many components. This, again, is a whole world of research. TimeBase 67 is populated by scientists, researchers and other staff who – sorry to shatter the illusion – are actually actors, so another branch of the project is the training of our performers, led by highly experienced live action theatre directors. For every new batch of people that join the crew, I have to turn up and give a special ‘Here’s Where We’re At With Dinosaurs Today’ presentation, which I enjoy and hope they do too. Because Dinosaurs in the Wild requires a complex backstory that explains how time travel was invented, how it works and why there’s a TimeBase 67 in the first place, Tim devised the story of the over-arching company behind the project – Chronotex – essentially writing a book on the company’s history, achievements and activities. 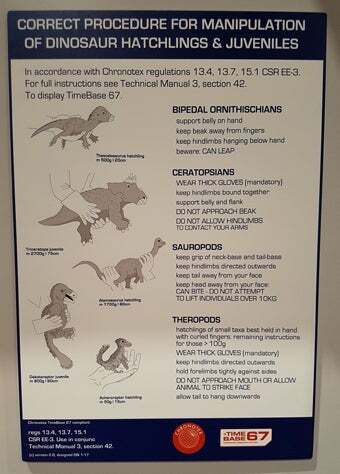 And in order that we have an established ‘handbook’ on our animals and how they behave and live, I created a substantial document – known affectionately as The Bible – that explains everything known about the Dinosaurs in the Wild animals as if they’ve been studied by time-travelling Chronotex scientists for real. Our actors have to learn the contents of this canonical document, and it’s worthy enough that I’ve made efforts to get it published as a tie-in book… thus far without success. The great centre-piece of the whole experience is the giant rotunda where visitors peer out through windows into the Cretaceous world and at the animals outside. Needless to say, the panels aren’t really windows but giant 3D OLED screens, and indeed the story of how members of our team kept up with the latest developments in screen technology and availability is an interesting story in itself (and one I can’t cover here). Suffice to say that the screens totally work and absolutely function as de facto windows for the duration. As per the laboratory areas, the rotunda simply features too much stuff for any one person to look at in the time allowed. Animals are visible going about their business through each of the four main windows, there being occasional bursts of activity that I won’t mention for fear of giving too much away. I will say that there’s a hungry mosasaur in the marine inlet near the base, that Dakoraptors don’t enjoy sauropods walking through their nesting colonies, and that tyrannosaurs are big and dangerous. Both the Birmingham and Manchester runs of Dinosaurs in the Wild were successful, and things are going really well in London as well. Do hurry if you want to get in before the show closes there on September 2. What happens next? There’s great interest from potential international partners and the producers are currently in detailed discussions about taking the experience overseas, with a number of destinations being considered. Follow the social media accounts (@DinosInTheWild and the facebook page) for news. Finally.... this is the penultimate Tet Zoo article here at SciAm. Yup, there is only one more to go and that’s it. If you like what I do, please consider supporting my writing and research here. Thank you. Conway, J., Kosemen, C. M., Naish, D. & Hartman, S. 2012. All Yesterdays: Unique and Speculative Views of Dinosaurs and Other Prehistoric Animals. Irregular Books. Hone, D. W. E. & Naish, D. 2013. The ‘species recognition hypothesis’ does not explain the presence and evolution of exaggerated structures in non-avialan dinosaurs. Journal of Zoology 290, 172-180. Hone, D. W. E., Naish, D. & Cuthill, I. C. 2011. Does mutual sexual selection explain the evolution of head crests in pterosaurs and dinosaurs? Lethaia 45, 139-156. Knell, R., Naish, D., Tompkins, J. L. & Hone, D. W. E. 2012. Sexual selection in prehistoric animals: detection and implications. Trends in Ecology and Evolution 28, 38-47. Witton, M. P. 2013. Pterosaurs. Princeton University Press, Princeton & London. Witton, M. P. & Naish, D. 2008. A reappraisal of azhdarchid pterosaur functional morphology and paleoecology. PLoS ONE 3 (5): e2271. Witton, M. P. & Naish, D. 2015. Azhdarchid pterosaurs: water-trawling pelican mimics or “terrestrial stalkers”? Acta Palaeontologica Polonica 60, 651-660. Darren Naish is a science writer, technical editor and palaeozoologist (affiliated with the University of Southampton, UK). He mostly works on Cretaceous dinosaurs and pterosaurs but has an avid interest in all things tetrapod. His publications can be downloaded at darrennaish.wordpress.com. He has been blogging at Tetrapod Zoology since 2006. Check out the Tet Zoo podcast at tetzoo.com!